A Turning Point for the Public Option?? Bill O'Reilly went on record tonight that he is in support of a public option saying, "I want that. 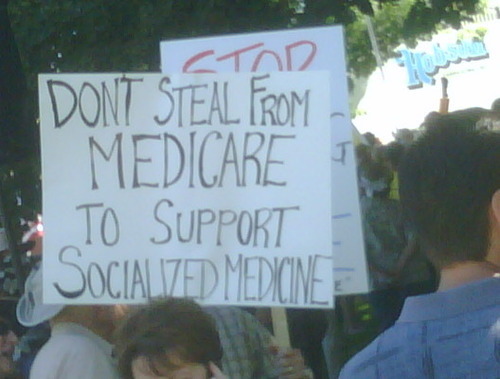 I want, not for personally for me, but for working Americans, to have a option, that if they don’t like their health insurance, if it’s too expensive, they can’t afford it, if the government can cobble together a cheaper insurance policy that gives the same benefits, I see that as a plus for the folks." Even though he says at the beginning of the clip that he thinks the public option is dead. The reality is that the House Bill will have a public option and one of the two Senate bills currently has it (the HELP Committee Bill). As the Baucus bill goes right now it may not have enough support in committee to pass as it currently stands. Baucus will have to move it to the left in mark up to get the support of the 5 or 6 liberals on the committee including Sen. Rockefeller and Sen. Schumer, or move it to the right to try and get a couple of Republican votes. Outside of Olympia Snowe I see very little possibility of any other Republicans voting for it. Unless, Republicans vote for it in the Finance Committee with no plans to support it on the Senate floor just to be sure that the possibility of bi-partisanship remains so that liberals will not be able to construct the bill as they want and then pass it through with reconciliation. Reconciliation is a rule in the Senate that allows for a bill to be passed through with 51 votes if it pertains to a law deemed absolutely necessary in relation to the nation's budget. President Bush used reconciliation to pass his tax cuts, therefore there is a clear precedent to advocate for its usage to pass health care. Senators seem to believe that most of the health care bill could be framed as necessary on budgetary grounds. While reconciliation should be a last choice because it would require removing certain parts of the bill (most likely to be passed later) but it would also mean that the health care changes would have to be re-authorized after a certain amount of time. My point is that the public option is NOT dead. With or without Bill O'Reilly's endorsement. But his comments certainly should put a little momentum behind the liberals in the Senate and all of us here on campus working hard to hold our congressmen accountable to what the people and their doctors really want. from Lefty's Last Cry ! If you ever doubt your convictions, it's good to see proof that the other side has no freaking clue what they're talking about. Can social media affect the Health Care debate? & a new way to contact our senators. Yes, I know that there weren't really that many people, and they are a minority of the overall population, but they still represent something dreadful. There is going to be a populist revolt in this country. And we better hope that it comes from the left and not the right. This "cold peace" in Washington, where nothing gets done, is not sustainable, and something has go to give. And if the "change" comes from the Right next time, then there will be another major war, that is guaranteed, because the only Keynesianism that the Right accepts is from the military. Were are in for long-term high unemployment, both the White House and the Fed have said as much. 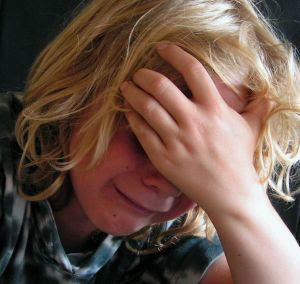 What's going to happen when the young people (who don't go to Notre Dame) of this country realize they have no future, and when the majority of Americans watch their standard of living decline? I thought that the White House and the Democrats in general would step out in front and grab this populist anger by the horns and direct it at who is really to blame i.e. the rich. I thought that even after a generation a selling-out to industry, they would realize that this was their moment to break free. Whether they couldn't or wouldn't doesn't really matter at this point, because after bailing out the banks, letting credit card reform and mortgage reform die, burying single-payer, and passing sub-par stimulus and energy bills, it's clear that they are only in this game for half-assed, not-really-changing-anything-in-the-long-run "change." I don't really know if it is possible for liberals and the left to articulate a point of view separate from the Republicans and the leadership of the Democrats, our media doesn't acknowledge any view left of Obama. But we must try. As a staunch liberal (and thus a minority on this campus), I often find the Observer’s viewpoint section highly amusing. But in Tuesday’s Viewpoint Ms. Pesavento crossed the line from amusing to downright vile and disturbing. How dare the right accuse President Obama of politicizing September 11? The entirety of the Bush administration was defined by the politicizing of one of the most tragic events in American history. Our military is currently bogged down in Afghanistan and Iraq because former President Bush and his cronies were able to capitalize on the fear and confusion of the aftermath of the attacks on New York and Washington D.C. You demand we remain in mourning, Ms. Pesavento? No, you and the other neo-conservatives care little for mourning. You demand we stay in fear. Fear of the outside world is what allowed President Bush to convince the American public that war in Iraq was a necessary course. Fear is what allowed the Bush administration to violate Constitutional and international law by spying on American citizens, profiling Arabs, and torturing prisoners. Fear is the reason Bush, despite being incompetent and corrupt (which is now apparent to anybody with hindsight and a brain), was able to grab himself a second term in the White House. Now President Obama has forsaken the politics of fear for the politics of hope and service, and the right wing comes up swinging. The Republicans stance against community service is one I’ll never comprehend. During the campaign, Republicans made a mockery of Mr. Obama’s service as a community organizer, and now that Mr. Obama has the presidency and is attempting to use it to make us all community organizers in our own way, the hypocritical right accuses him of political motives. I will never forget the 9/11 attacks. Nobody will. But when it comes to politicizing the tragedy, nobody could beat the Republicans, no matter how hard they might try. In this morning's Observer, some clown spent about two paragraphs telling me how it was unfair and illogical to call all Republicans racists. Don't get me wrong, being conservative doesn't make you racist. "Disregarding the fact that the Republican party, the shell of conservative thought and the party of Lincoln, was instrumental in ending slavery..."
Wow! Let's pretend that something this old is even relevant anymore. I thought we all learned that you don't put your 3rd grade spelling bee award on your Collegiate CV. "...that the Bush cabinet contained two African Americans, two Asian Americans, four women and one Cuban American." This sounds familiar. Oh! I know. This is like every time a person says: "I have black friends." Please, Mr. Clown, stop making this so easy. "that conservative ideology is to the benefit of all peoples who work hard and wish to live life without the government telling them what they can and can't do." It sounds so cute, doesn't it? If only all those minorities could just realize that this ideology will help them. Oh, wait. You mean it doesn't, and they know it doesn't. And they vote in overwhelming numbers against you because they know conservative policies will hurt them. Darn! And what is this garbage about not telling people what they can and cannot do? Please tell that to the gays, the illegal immigrants, the soldiers sent to pointless wars, the single, raped, 17-year old mother, and the joint smoker stuck in jail. Please, just do it. I must have forgot about subject-verb agreement. Clearly, "them" refers to only those who work hard. That must be the corporations. Of course! So corporations don't have to worry about Big Brother acting like a parent. Ahhh, now I get it. "Racism is an individual decision, so don't lump me in just because I may vote the same way." Individual decision... hmmm... where have I heard that before? Oh, yeah, I know. Homosexuality. So Republicans aren't born racist, they just wake up one day, when they're 15, and it hits them. 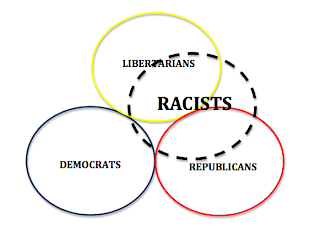 And all the racism around us has turned non-racists into racists. Oh, no! Someday the racists are going to corrupt my poor non-racist children and make them hate minorities. Perhaps racists shouldn't be able to adopt. Their children might not understand normal race relations and end up being weird as adults. I'm sorry that voting Republican has gotten you labeled as a racist, Mr. Clown. In all seriousness, I'm sure you're a perfectly normal, level-headed conservative (I may have just mixed oil and water) who is generally fair and not racist. But that doesn't mean you're not clueless, which is why I had to ruin you. My advice: read some more history books, look for "Southern Strategy," study the influence of Republican policies on minorities, watch some GOP ads, and listen carefully to conservative talk shows. Then let me know if you feel the same. Last Friday Notre Dame held an event with Josh Dorfman, host of the T.V. show the Lazy Environmentalist. Check out the website for some really interesting ways to go green. In Josh's words, "This might all sound like semantics but it’s hugely important. Unless the environmental movement examines its communication strategies, it will never attract the type of widespread acceptance necessary to be effective on the scale required to solve the enormous environmental challenges we face. Moral imperative environmentalism is whiny. Carbon counting environmentalism is obscure. And Polar Bear saving environmentalism is trite. It’s all too niche. It holds no sway over the great majority of Americans who (despite the media hype and market research reports) are not yet living green in any meaningful way. It’s time to recognize that there is an overwhelming opportunity to frame green choices in terms of personal self-interest. The new green value proposition should be: it’s better for you AND for the planet." 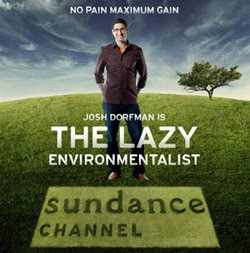 The Lazy Environmentalist as a concept and a television show is a creative and fresh take on the green movement. Josh Dorfman sees the American public as consumers that will always prioritize convenience and cost over the environment when making cost and benefit decisions. The idea behind his show is to prove that going green can save money, be in style, and protect the environment at the same time. His presentation was a slideshow where he went through and showed examples of a lot of different products. For each product he connected it to a larger trend in the market and he explained how an idea similar to what was being displayed could be expanded in the marketplace. He was very optimistic about the potential of the Internet to revolutionize consumerism around the world. He emphasized that sharing of products is the most effective way to be green and save money. He showed quite a few concepts that have grown quickly in the last couple of years including Zip Car. Zip Car is a rent-a-car service designed for frequent and short urban area usage. A customer reserves a car online that is parked nearby, walks to the parking place, scans in with their card or using an iPhone and they can get in the car and drive. The company claims that every zip car replaces seven purchased vehicles. The idea of renting and not purchasing was also shown in a website that allows people to rent designer handbags and luxury goods for events which is much more logical and environmental than purchasing an expensive product that will get limited use. Dorfman also showed off the concept of the Internet being used as a means to connect people to each other to exchange goods and services. One website, http://zimride.com/home.php?, uses Facebook friend networks to help set up carpools, because no one wants to hop in the car of a random online stranger. Yet, if that stranger was a friend of a friend then he or she is likely to be trusted and by carpooling together they can both save energy and money. There were multiple websites discussed that are exchanges for people to trade goods such as designer clothing or video games. These websites allow people to get goods that are new to them by exchanging items they will no longer use. Utilizing goods that are already in the marketplace instead of manufacturing new goods every time someone wants a product is a green idea that does not require a change in our culture of consumerism, but adapts to the culture to make the habit more efficient. One of the most promising themes of the presentation was the ingenuity of the rapidly growing environmental consumer movement. A bathroom in Dorfman’s world exemplifies the enormous potential for consumers to make innovative and cost saving environmental choices. The bathroom includes a low flow shower head that conserves water and heat energy, a sink that drains water into a reservoir used to flush the toilet, and a skylight in the ceiling that replaces a light during the day that comes from a pipe full of mirrors that catches the sun on the outside of the house. Dorfman believes that in the next ten to twenty years there will be an enormous expansion of goods and services that do not force a person to choose environmentally friendly or lower cost. While he did not say the market could solve the problems of global warming and the chronic overuse of energy and resources, he is justifiably optimistic about technology and awareness continuing to expand environmentalism even to the most lazy and selfish consumers. The event was very worthwhile. Dorfman even came out and met with Henry and I afterwards to discuss a couple of ideas more specifically. The environmental consumer movement will require a large spectrum of ideas and approaches. Dorfman’s perspective of lazy environmentalism is an important part of the future of green products and services. His website is full of products but signing up for his e-mail list is the best way to get information about ideas and products. I have signed up for many e-mail lists and ended up unsubscribing. This one is really worth your time. Also a personal favorite environmental product of mine, Simple Shoes, check them out! Brilliant satire on the torture "debate"
...Because the College Republicans hate children. We had a guest speaker at the College Democrats meeting Sunday night. He was the campus representative for Teach for America, a really great program that sends the best and the brightest recent college graduates to teach in public schools in urban and rural areas for two years. After speaking briefly about the program and signing some people up for more info, the speaker thanked us for having him and for passing along information about the program. Then he said this: "You know, the only club we contacted on campus that refused to send out our email or let us come talk to their members was the College Republicans." The room erupted with laughter--thinking he was joking and just playing to the crowd. I thoroughly enjoyed when Ball State University alumnus :), David Letterman roasted the GOP hooligan.